More than a century after thousands died building a 600 mile African rail for Great Britain, Beijing and Nairobi will give it a try. In Beijing Monday, a deal was struck to bring Chinese railway builders to try the project all over again, constructing a new track from Kenya’s Indian Ocean coast to its western border with Uganda. And as before, the aim is to boost business. 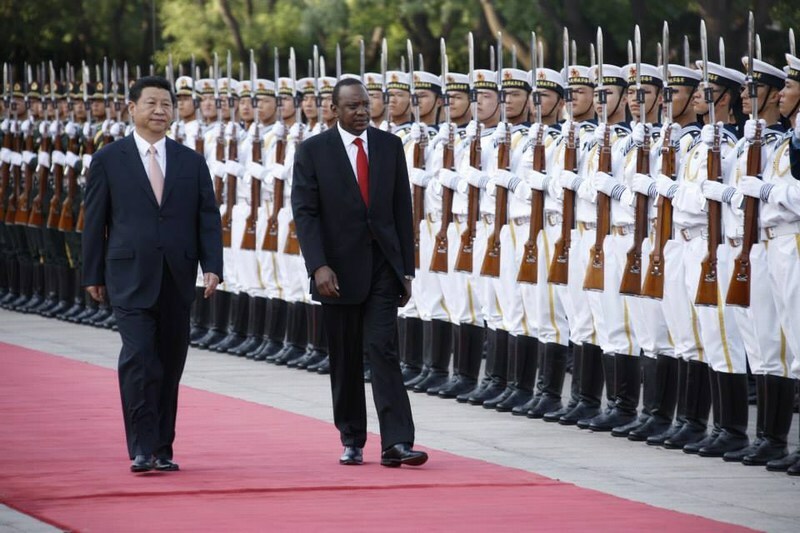 Uhuru Kenyatta, Kenya’s president, was in China to meet with Xi Jinping, the country’s premier. The pair inked $5 billion worth of agreements that will see China fund new projects on energy, infrastructure, and wildlife protection. On top of the agenda, alongside plans for new hydro-dams and seaport expansions, Mr. Kenyatta’s advisors say, was finalizing the plans for the new railway, which is expected to swallow up the majority of the new financing. The rail left by the British was rendered almost derelict by decades of state-sponsored looting at Kenya Railways under former president Daniel arap Moi, forcing almost all freight onto already clogged and potholed roads. Of 1,700 miles of track operational in the 1950s, no more than 700 is in use today, and locomotives rarely manage average speeds above 20 miles per hour even on the best sections. 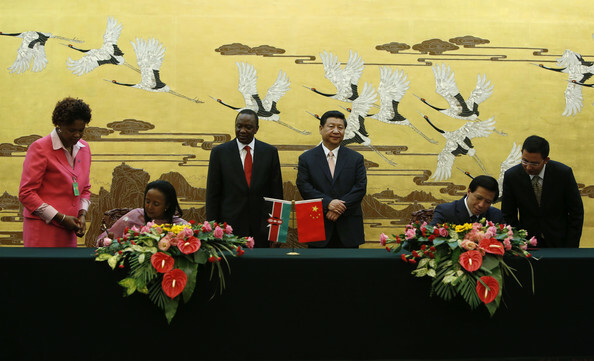 “We welcome the investment in key sectors of our economy,” Kenyatta said in a statement late Monday from Beijing. “In many ways, China’s engagement with Africa today is very similar to the British engagement in the past – railways, roads, bridges, major infrastructure,” says Aly-Khan Satchu, a Kenyan economic analyst. Massive construction projects to boost Africa’s development have fallen out of favor with the continent’s long-time donors in the West. At the same time, Kenyatta’s looming trial at the International Criminal Court, where he denies charges of crimes against humanity, have made traditional allies, many of them in the West, nervous of significant new aid investments in Kenya. 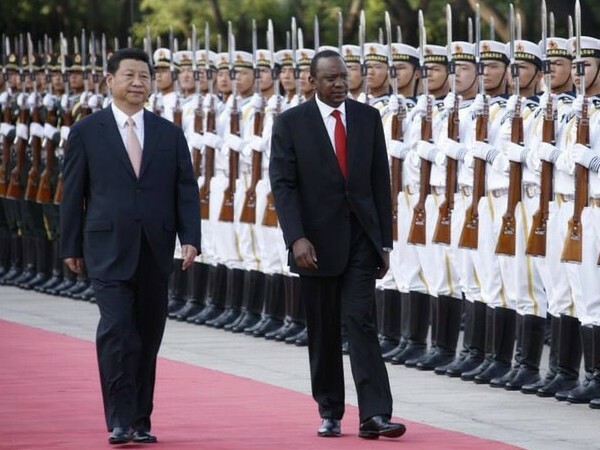 China, which has remained mute on Kenyatta’s indictments, has no such qualms. For his part, Kenyatta picked up the baton of mutual admiration, tweeting as he landed in Beijing late Sunday, “Arriving in China. China’s importance to Africa cannot be underrated. China is our biggest partner in development.” Chinese organizations including automobile manufacturers, television stations, and even academic institutions are all now established in Kenya. An English-language edition of the China Daily is printed in Nairobi, Kenya’s capital. And there is no doubt that repairs to roads and rebuilt railways will help Kenya’s economy to continue its already-healthy growth, currently averaging 5 percent a year. An improved train link could cut the costs of shifting freight across East Africa by 79 percent, according to Kenyan government calculations. But critics point out that trade with China is currently almost entirely one way. Kenya exported some $50 million of produce to China in 2012, compared to buying $1.8 billion worth of Chinese goods, according to Kenya’s trade ministry. The concern is that Kenyatta’s very obvious shift away from the West – he visited Russia in the days before arriving in Beijing – may alienate traditional trading partners and his pro-East rhetoric may put off new US or European investors.